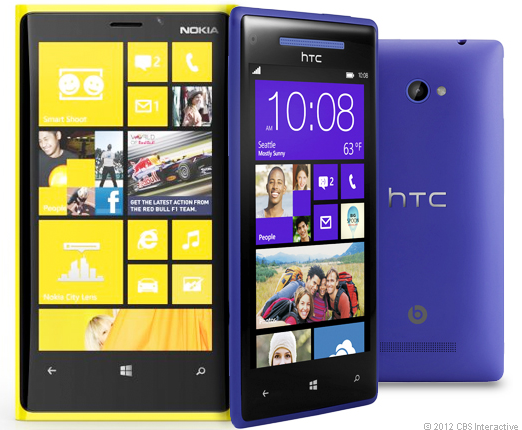 HTC’s looking to make a splash into the Windows Phone 8 market with their recently announced HTC Phone 8X and its budget counterpart, the HTC Phone 8S. But can it compete with the Samsung ATIV S and the very hot Nokia Lumia 920? The Nokia Lumia 920 and the Samsung ATIV S clearly has the HTC Phone 8X beat in several key features but will the HTC Phone 8X trump them in one very important category — selling price? At £399.98 , that means it will sell for around $600-650. That’s a lot higher than the $512 price tag some Chinese websites are placing on the Nokia Lumia 920. The HTC Phone 8S, with it’s smaller 4-inch screen, 4 GB internal storage, and slightly slower processor that clocks at 1 GHz is cheaper at just £224.99 (about $365) but the lower specs may be a deal breaker for some. Looks like HTC may be in for an uphill battle for the title of best Windows Phone 8 device. They’ll need to do a little better if they want to take the spotlight from the Nokia Lumia 920. Agree? Disagree? Speak your mind in the comments below!